I should’ve just started a drug habit. Or bought Bitcoin at the peak. Both would be probably cheaper and certainly less of an obsession. There are days (usually in that long week before payday) when it seems that choosing the car life has really been a choice to throw any chance of financial security to the wind; just one bent valve away from financial insolvency and life on the streets. But the satisfaction of this pursuit – something I’m sure you, reader of this website, knows well – is simply impossible to match anywhere else once you’ve experienced it. So, fellow addicts, I figured there was one thing I should probably share with you now that we’re 12 months into this long-distance relationship: the end goal for Project NSX. Simply put, the idea is to increase performance to more contemporary levels with minimal interference to the original spirit of the car. In particular it should retain the elements that differentiated the NSX from its period competition: simple styling and ergonomics, daily usability and reliability, and an engaging, responsive driving experience. The car may be over 25 years old now, but some great cars built in the time since provide useful benchmarks for this project. The short time I spent behind the wheel of a Porsche 996 GT3 a few years back convinced me that there is simply no need for more power or speed than that car has on a public road. 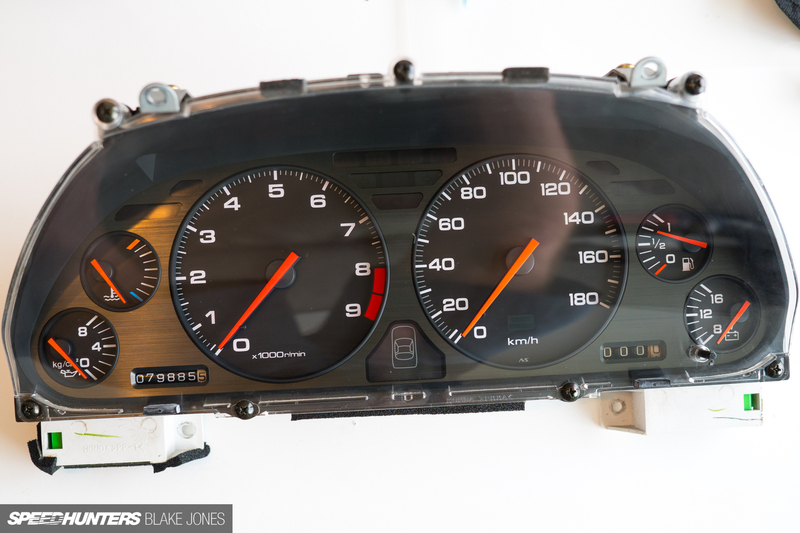 Of course, modern driver aids have changed the equation and made insane speeds accessible to even the most clueless cashed-up owners, but that’s not really what it’s about. 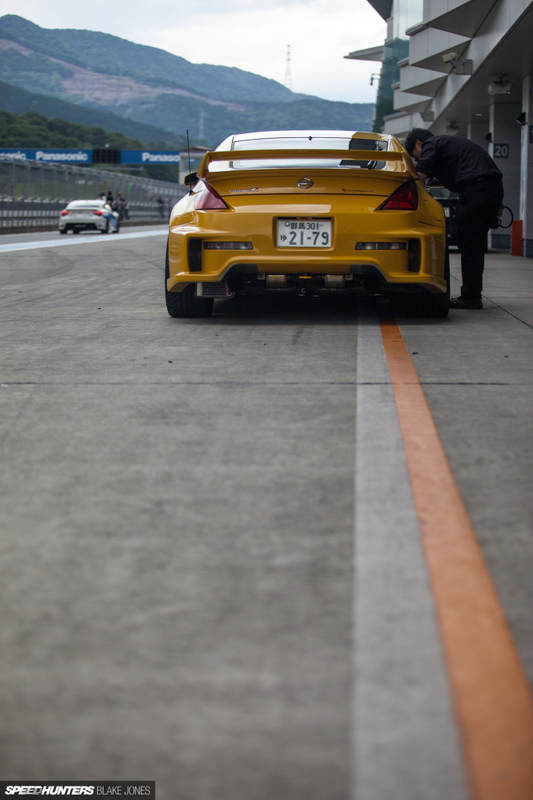 The GT3 also shares a basic similarity to the NSX, both being naturally aspirated six-cylinder sports cars. 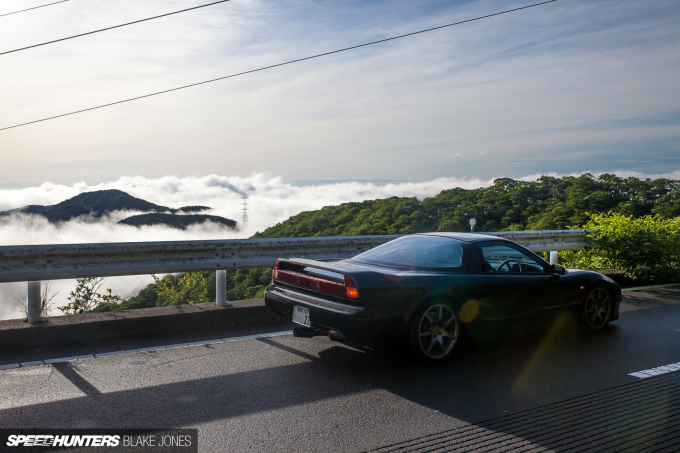 As such, the Porsche serves as a kind of benchmark for the performance level I’d like to achieve for Project NSX. However, the GT3’s Metzger engine has a decade of engineering and a 20% capacity advantage over the NSX’s C30A and puts out 360PS to the Honda’s 274PS. That’s 100hp/l compared to 91hp/l, both impressive figures for their respective times. 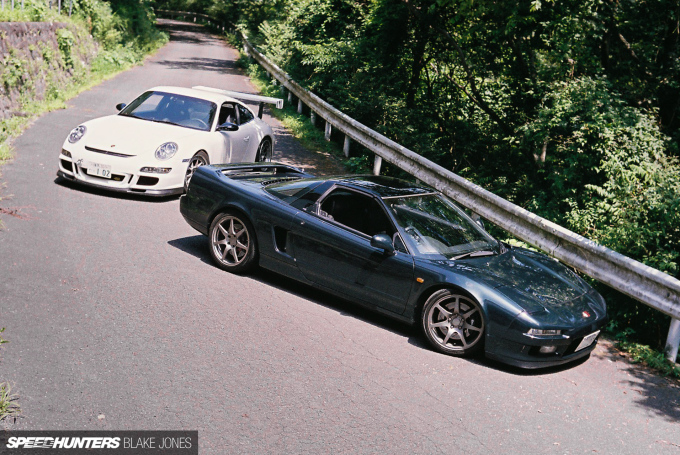 The NSX does win back a small advantage when it comes to weight thanks to that lovely aluminium chassis: the NSX’s curb weight is 1,370kg (3,020lbs) while the Porsche comes in at 1,380kg (3,042lbs). 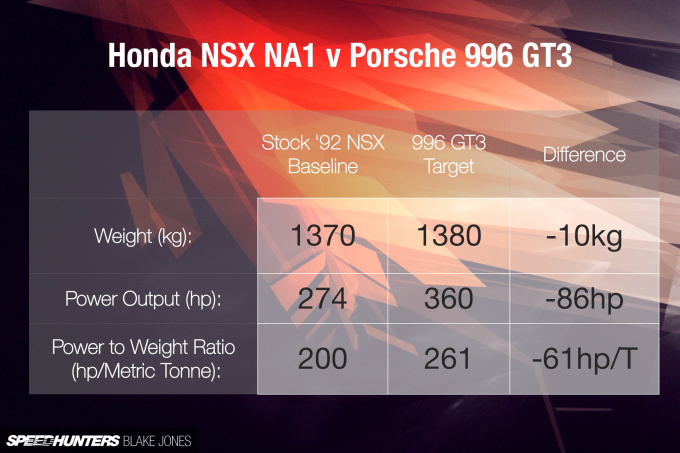 Remember the GT3 is already ‘lightened’ from factory, whereas the NSX weight is for the full-fat ‘grand tourer’ spec. 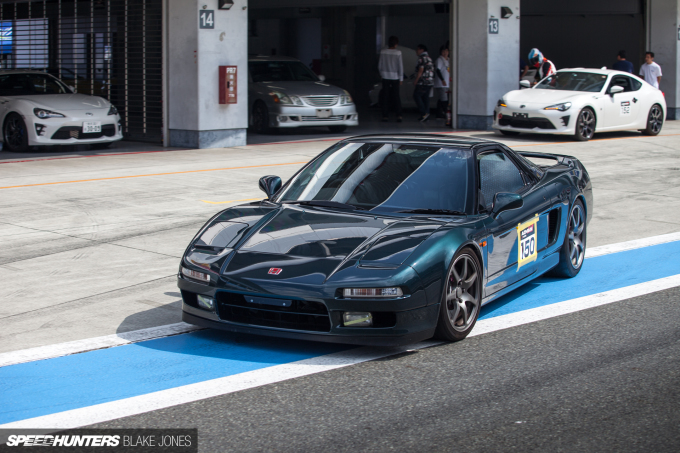 The NSX-R could be said to be Honda’s equivalent to the GT3 and weighs 120kg (264lbs) less. That included extreme measures like thinner glass and lightweight crash structures too, but suggests that at least 80kg (176lbs) can be saved while keeping the car relatively street-friendly. Assuming the 80kg can be shed that leaves us with a deficit of about 60hp to make up, a fairly daunting figure for an already highly-strung NA engine. 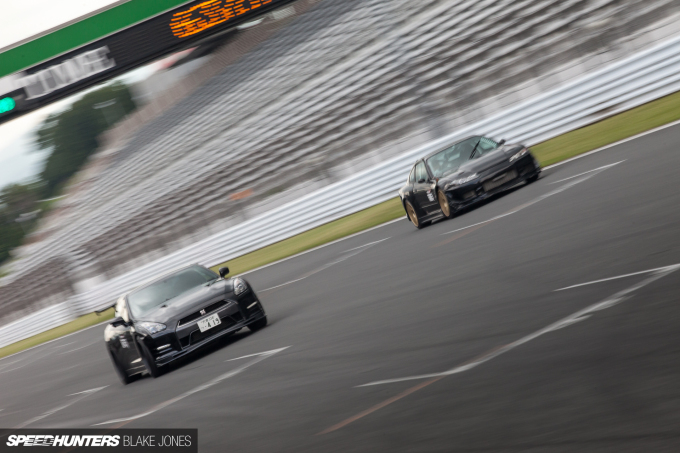 Supercharging is a popular approach for more power outside Japan, but does seem to go against the spirit of the build. 350hp has been seen from bored-out high compression C30As in the past, but that is a massive undertaking unlikely to happen anytime soon unless my lottery numbers come up. As a result I’ve set an interim target; call it ‘Stage One’ for Project NSX. And this time there’s another German target, albeit one from Bavaria. The E46 M3 is not only another awesome naturally aspirated six-cylinder icon, but one I think the NSX absolutely needs to be faster than to justify its status as a ‘modernised’ sports car. Although the M3 weighs in at a portly 1,549kg (3,414lbs), its amazing S54 puts out 343hp giving a power-to-weight of 221hp/t. 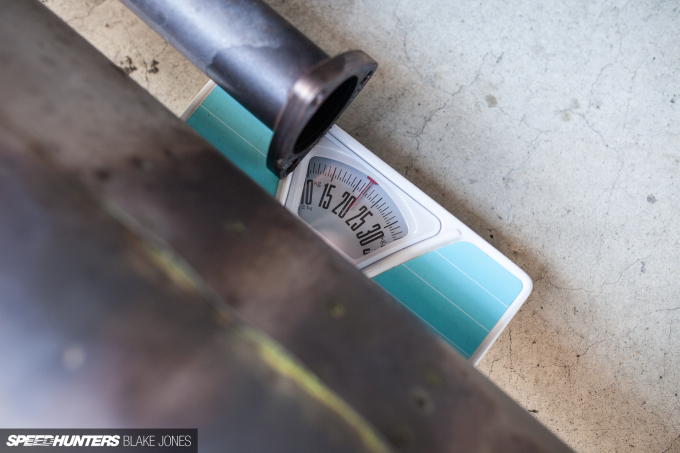 Obviously power-to-weight ratios are only one element of a car’s performance, but for this benchmarking purpose it’s a useful indicator in my opinion. 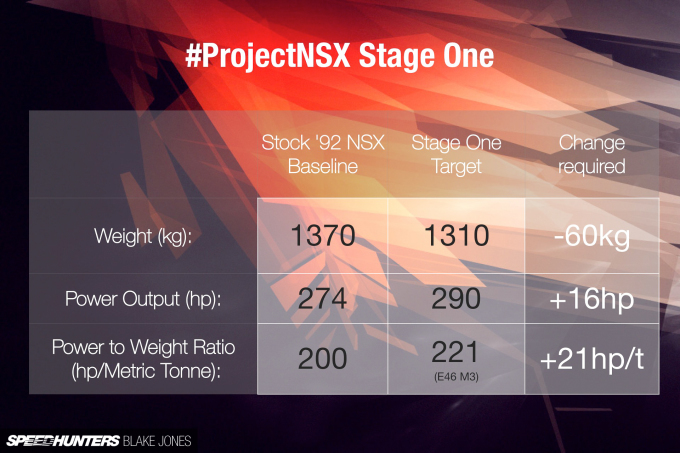 However, let me know in the comments if you have any alternate ideas for referencing Project NSX’s progress. So now you know what it’s all about. 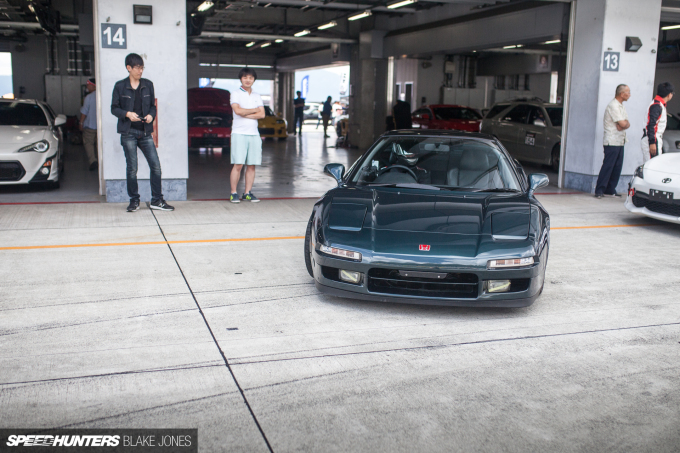 Project NSX should be faster on both the road and the odd racetrack, without compromising the grand tourer comforts. It should use modern technology to increase power and reduce weight without fogging the clarity of Honda’s original vision. And no modifications should be so extreme as to make the car a beacon for the wrong kind of attention. If you’ve read the previous instalments you’d be up to speed on most of the performance modifications to date, but judging from the comments on previous Project NSX updates the new muffler has been the most polarising change I’ve made to the car. I’ve always loved centre-exit exhausts and have toyed with the idea for previous cars, but they never really made sense in an FR format (where exhaust needs to be routed around a rear differential, and hence exits towards one side of the car). The inspiration came from some of my all-time favourite MR and RR cars: the Porsche GT3RS, Lotus Exige and Lamborghini Murciélago. 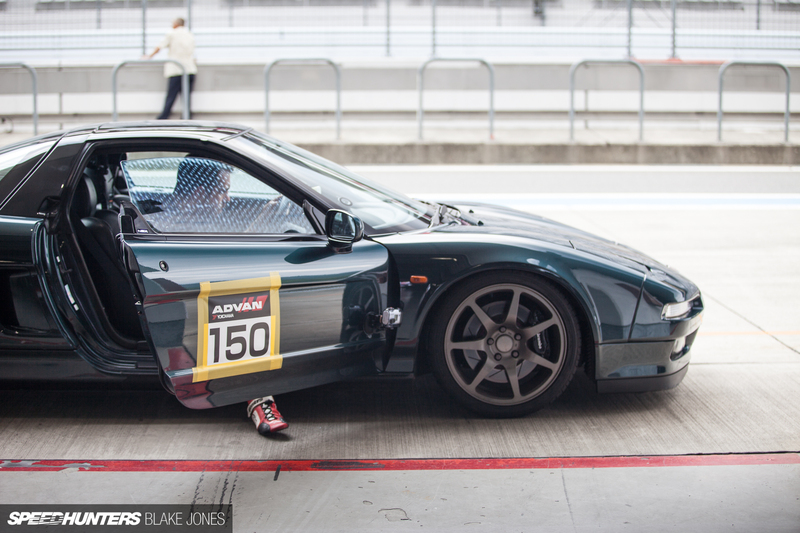 The JGTC NSXs had them fitted too (albeit in a slightly higher position). 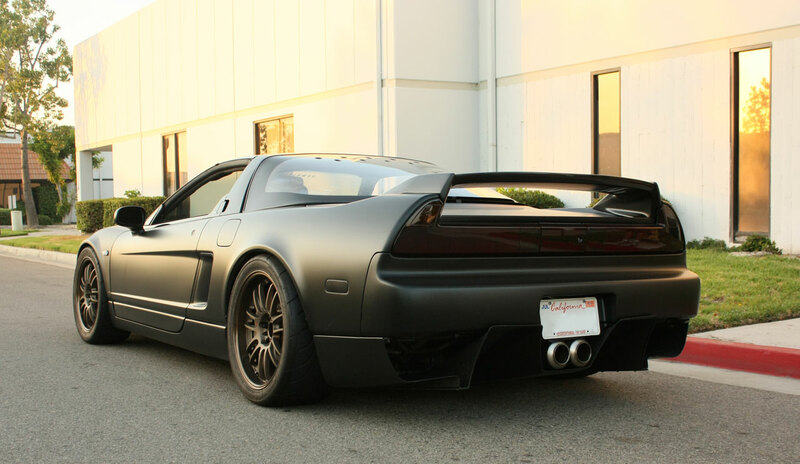 For the NSX there were only two aftermarket options I was aware of, short of making a custom exhaust up. 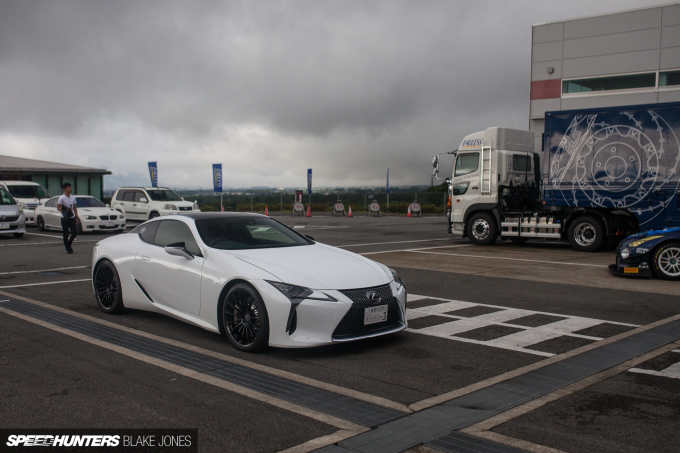 One was ruled out instantly when Advance’s Masa – a man who is certainly not afraid of a bit of exhaust noise – stressed to me how loud it would make the car. The remaining option was Racing Factory Yamamoto’s ‘Suzuka Ver.3’ centre-exit unit. I’d been umm-ing and ahh-ing over buying one for some time as the price was steep for the stainless version, let alone the titanium unit I was lusting after. So when a lightly used one popped up on Yahoo! Auctions I jumped on it. 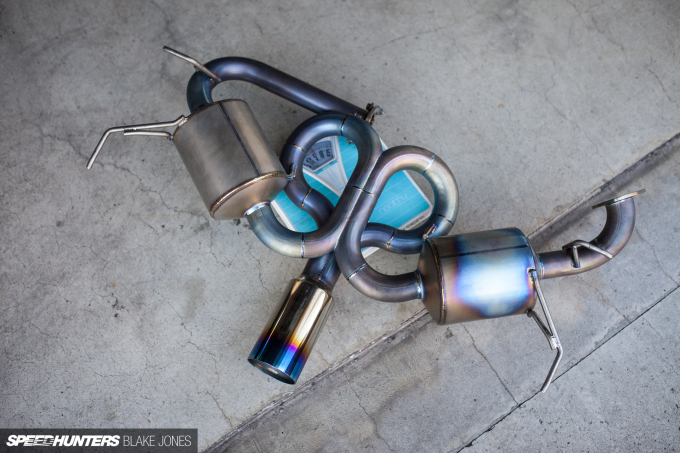 Thanks to that titanium, the RFY muffler is a massive 16kg (35lbs) lighter than the HKS unit it replaced. And it saves that weight behind the rear axle of the car where it is subject to a higher polar mass moment of inertia, hopefully making the car’s handling more responsive. As a side note, responsiveness was once of the key objectives of the NSX’s designers – hence the mid-engined design and placement of heavy components such as the battery and fuel tank as centrally as possible. The fuel tank is especially important here; as your fuel load decreases so will the weight, and if this weight change is far from the car’s centre of mass it will have an impact on how the car responds to the driver’s inputs, and thus the ability to be consistent. As it happened, the RFY muffler was installed by Advance at the same time as the transmission swap, which meant I was much too distracted by left-hand busyness to notice a change in the car’s handling from the specific weight reduction (although it is nice to know it works in theory). One thing I definitely noticed, however, was the sound. I’d for some time assumed the HKS muffler that was on the car when I bought it was stock, such was the subdued sound it emitted. 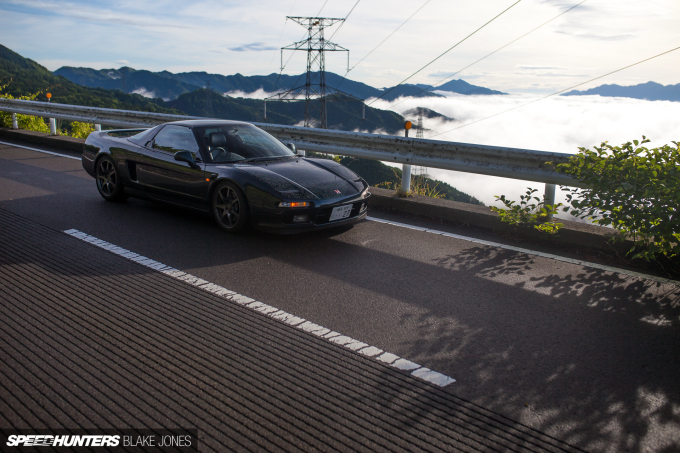 From the outside it sounded nice enough, but from the driver’s seat it was barely audible above the NSX’s slightly noisy valvetrain with the windows up. Why waste words describing the new sound when I can let a video do a much better job. 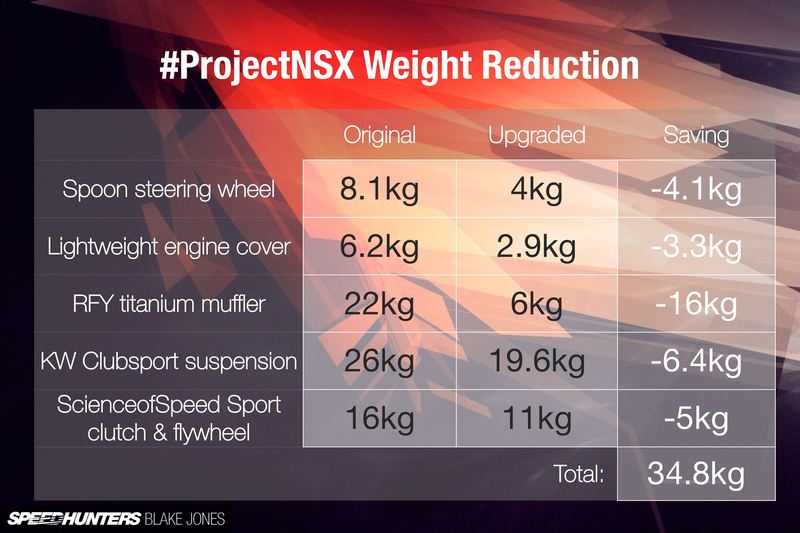 Adding the muffler’s weight savings into the existing list of reductions brings us to a hair under 35kg (77lbs) saved so far, just over half the Stage One target. With the next few changes in the pipeline, I’m fairly confident the 60kg (132lbs) reduction target can be achieved. Unfortunately, none of the mods so far have added any power, but I’ll be sure to address that shortly. In between the sporadic modifications there’s been many more small restoration-type jobs happening, but I won’t get too deep into the specifics here. Thankfully, plenty of the parts that were showing significant wear (like the driver’s seatbelt, piano black B-pillar panel and other small trim pieces) were able to be replaced with new bits from Honda at a reasonable price. The new taillight seals above will hopefully bring an end to my soggy trunk situation, a common problem on these cars. Although I’ve been shifting gears with my left hand since the car left the workshop in February, one key artefact of the car’s automatic origins remained – the transmission position indicator on the tachometer. 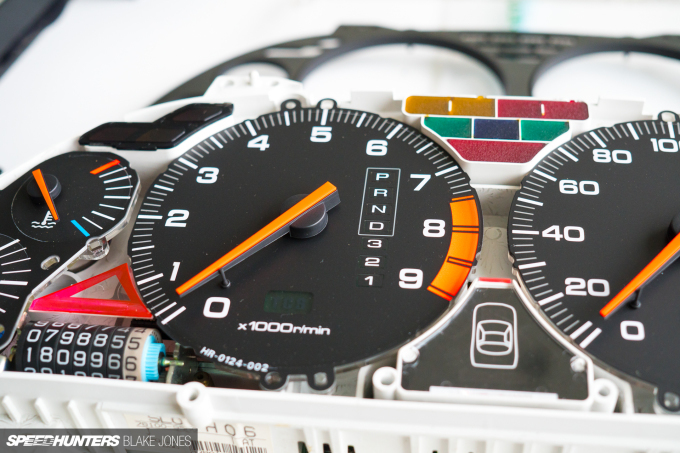 The NSX gauge cluster won’t win any awards for innovative design and original tachometers are all but impossible to find, so for a short time I considered swapping in an AP1 S2000 digital cluster with a plug and play harness that recently became available through the aftermarket. But eventually one of my OEM Honda sources let slip that he would be receiving a few brand new manual tachometers. I relented, paid the admission fee, and before long had a neatly wrapped tachometer in my hands. Dismantling the cluster was easy enough. 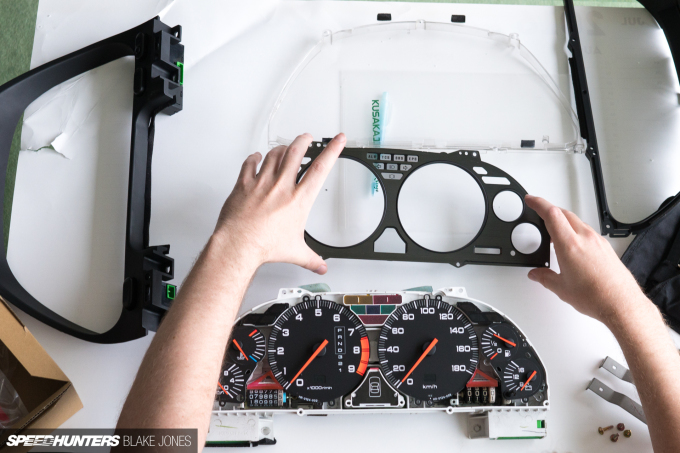 Not shown was removing the cluster from the dashboard, which entailed about 30-minute’s worth of removing awkwardly-positioned screws. I took the opportunity to clean up the odometer numbers, which had discoloured slightly with time. 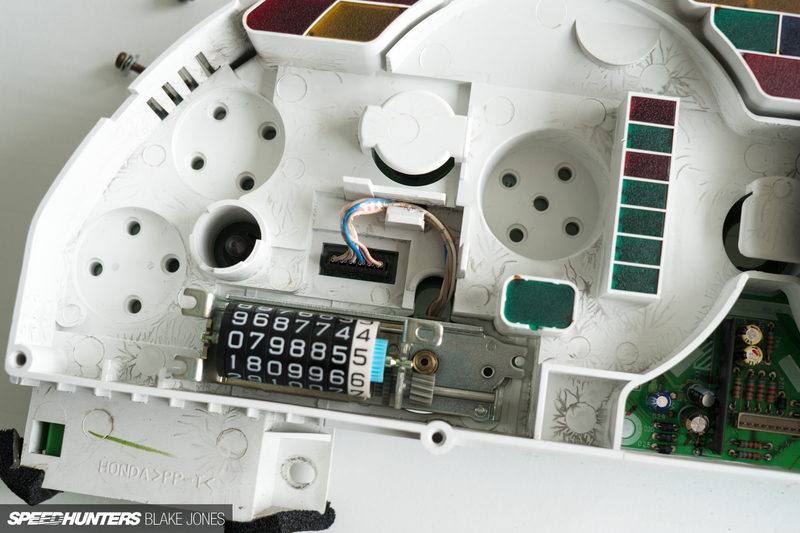 The circuit board left strange lighting-like marks on the white plastic mount, which for some reason bothered me, so although I’ll never see it again, I gave the plastic mount a quick clean too. 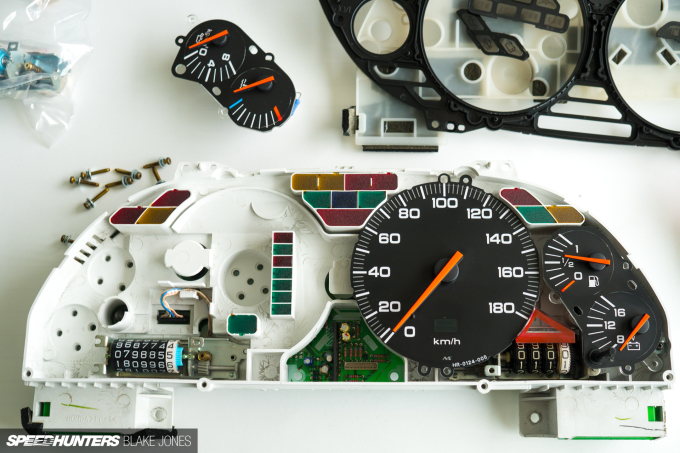 The tachometer came packaged with a new circuit board, but due to a different profile on the right edge it wouldn’t fit with the older speedometer circuit board. 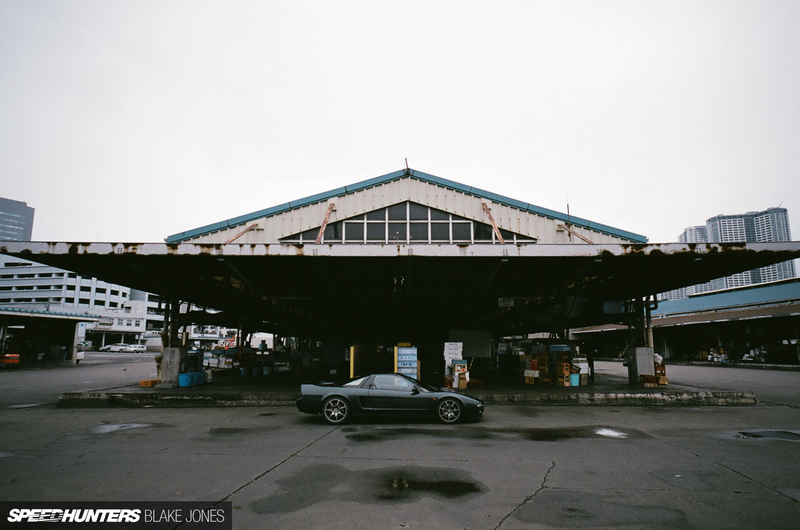 Although the NSX looked remarkably unchanged over its 15-year lifespan, once you get under the skin it becomes obvious that small refinements were plentiful. 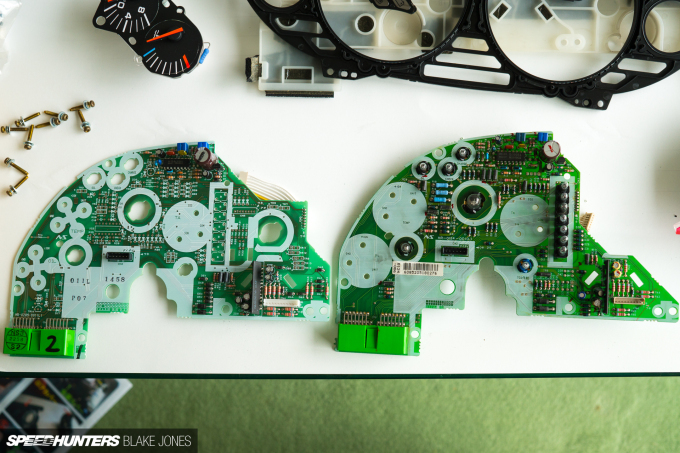 And before you jump to the conclusion that it might be a manual/automatic difference, here’s a look at the rear of both the outgoing AT tachometer and the new MT tachometer – both include the moulding for the automatic gear indicator. I’ll admit to feeling a little short-changed when I realised the only difference between the two units was the fascia overlay. Job done. You can see that the indicated redline has also moved up from 7,500rpm to 8,000rpm, in line with the higher redline of the manual ECU. 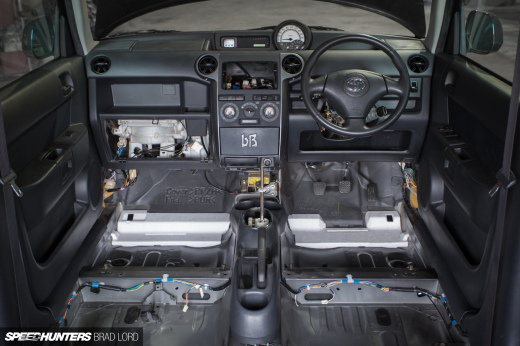 Then it was just a matter of reversing the removal steps to refit the cluster back in the dashboard. This work probably isn’t terribly exciting to read about, but it’s super rewarding being able to give a bit of well deserved TLC to this old girl. 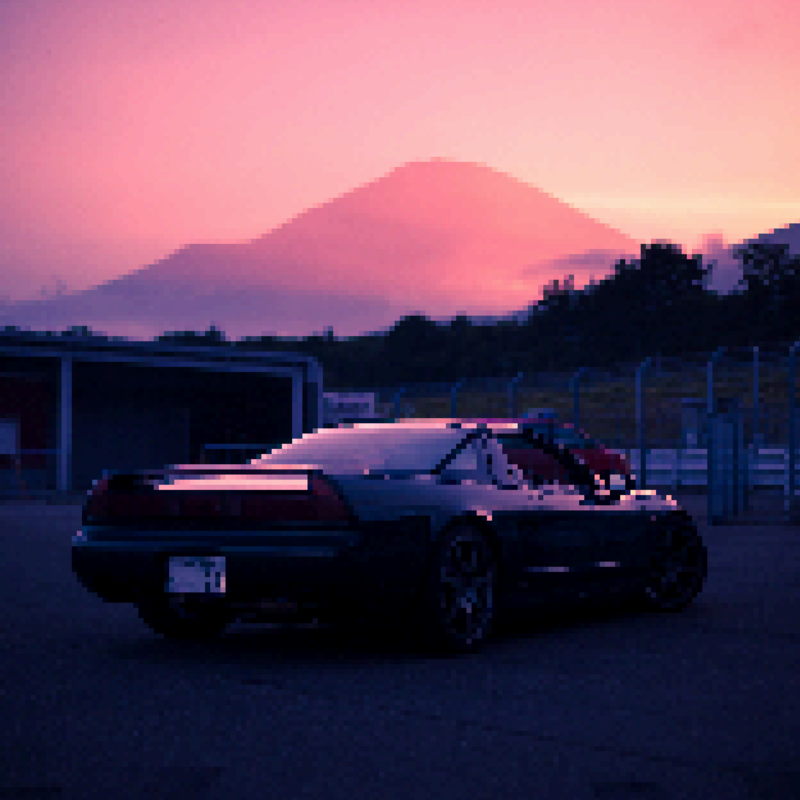 The last chapter is dedicated to Project NSX’s maiden adventure onto a racetrack in early June for the Endless Circuit Meeting. 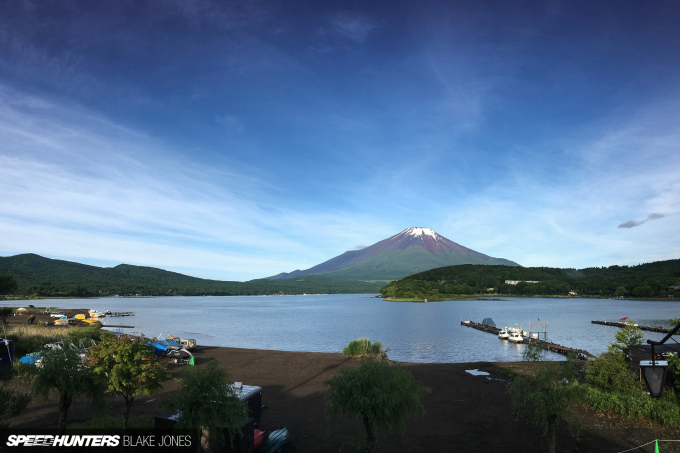 An early rise from the cheap accomodation I booked close to Fuji Speedway had quite the morning view, and the short drive provided a pretty magic backdrop, with the low cloud settled in to the volcanic valleys around the base of Mt Fuji. 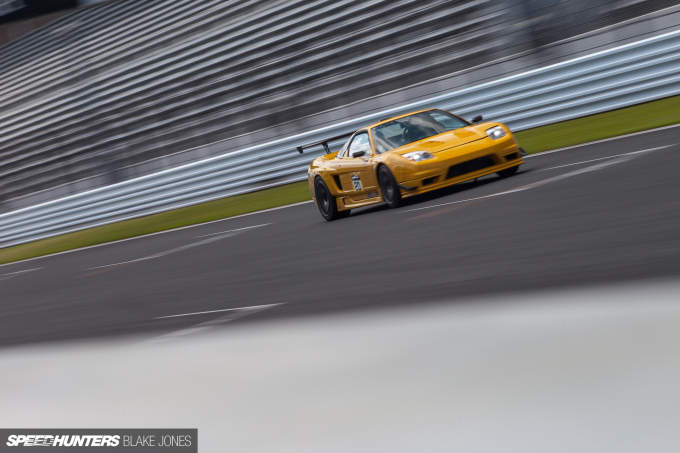 Fuji is an international-level circuit, and thus the opportunity to drive it on a weekend is fairly rare, so Endless books out the whole venue for customers and associates to enjoy. 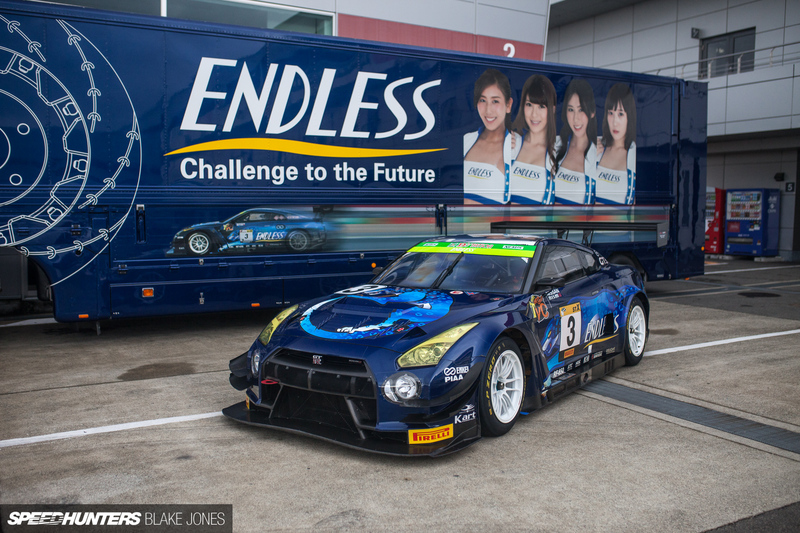 Endless brought along their GT-R GT3 endurance racer and spiffy transporter, but unfortunately it remained in the pits. 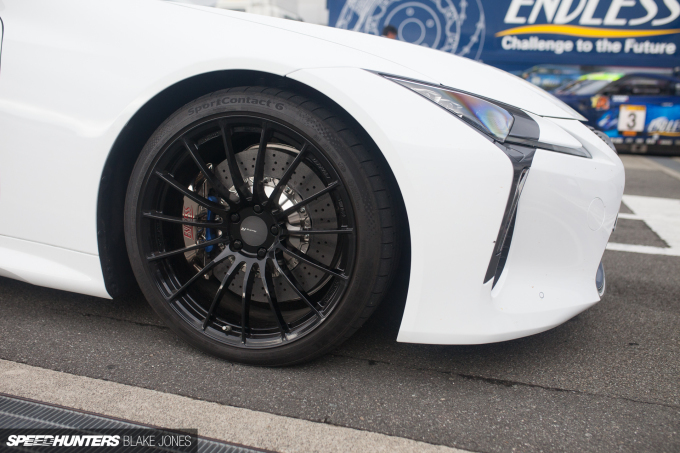 Alongside it was their super-fresh Lexus LC 500 demo car featuring an Endless big brake kit (of course), Enkei wheels, and exhaust bits from Fujitsubo. I wonder how this compares to the stock car that Dino seemed to love?. 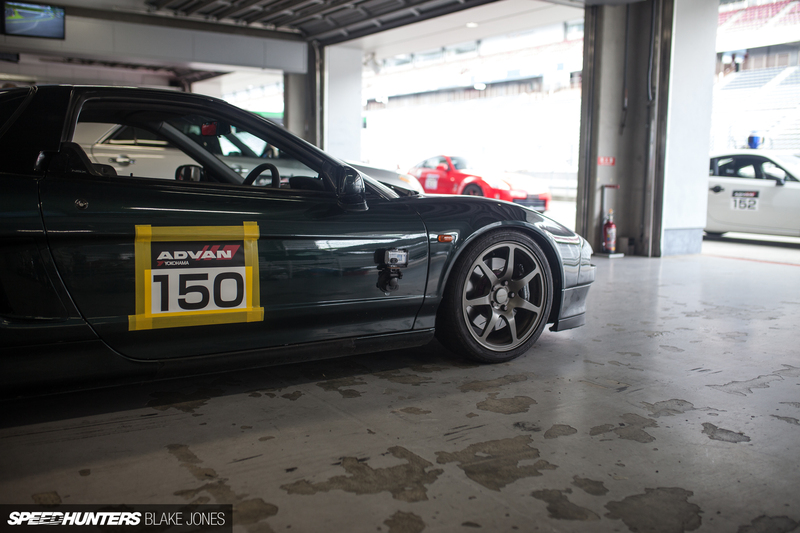 The privately owned cars at a Japanese track day never disappoint, and this day was no exception. 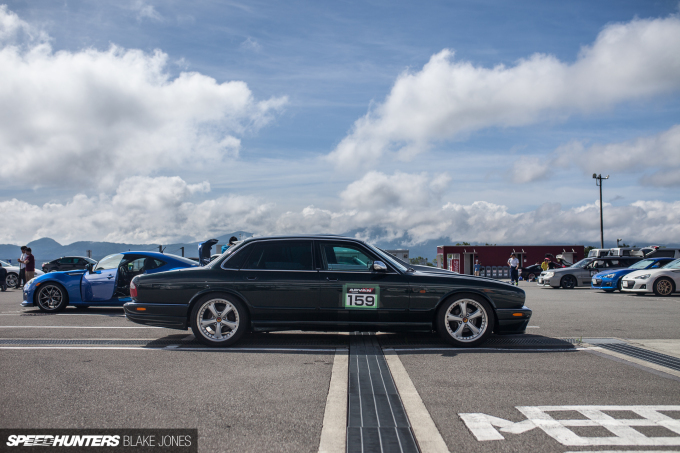 Just check out that track-ready Jaguar XJ. Due to a busy work schedule, a few items I would’ve liked to address prior to the track day (namely a brake refresh and new tyres) were left undone. I’d decided in advance to not push the car too hard, and rather get familiar with the chassis and new KW Clubsport suspension at higher speeds than I’d been able to do on the street. 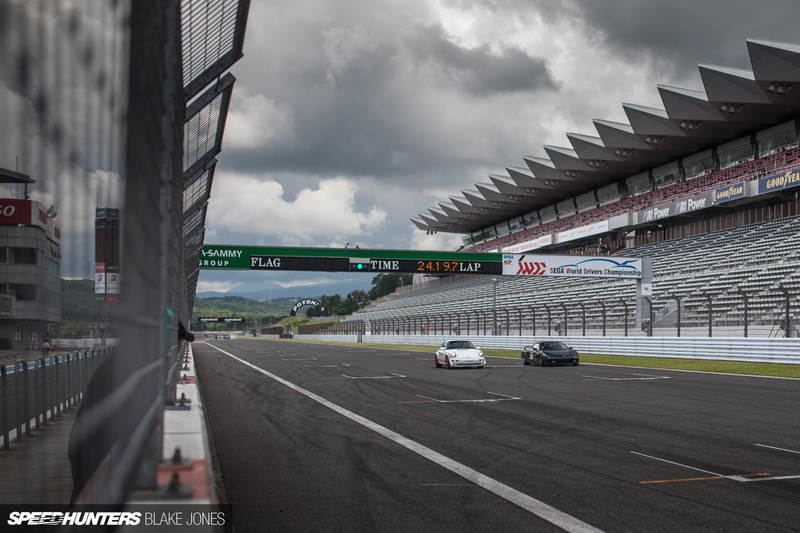 Still, rolling out into pit lane for the first time certainly elevated the heart rate. Lining up in the ‘intermediate’ group was an eclectic collection of Japanese and European machinery, including the Stance Magic Honda S660 I first saw at Tokyo Auto Salon last year. 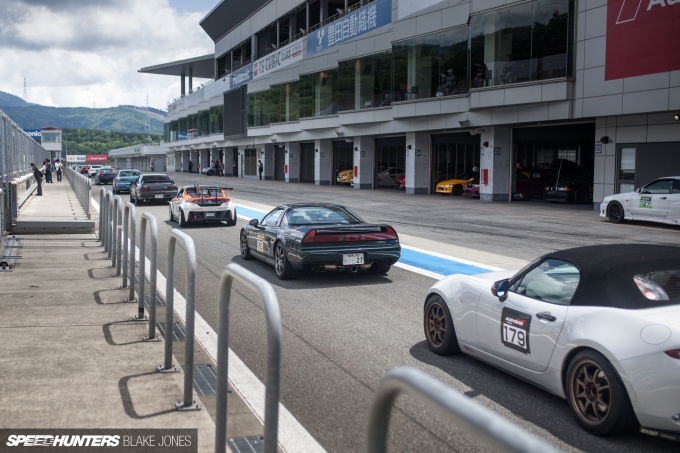 Each group had between 30 to 40 cars, but Fuji’s sheer size swallowed them rather comfortably. All domestic cars come with a 180km/h speed limiter in Japan, so I was curious to see what would happen down the main straight. 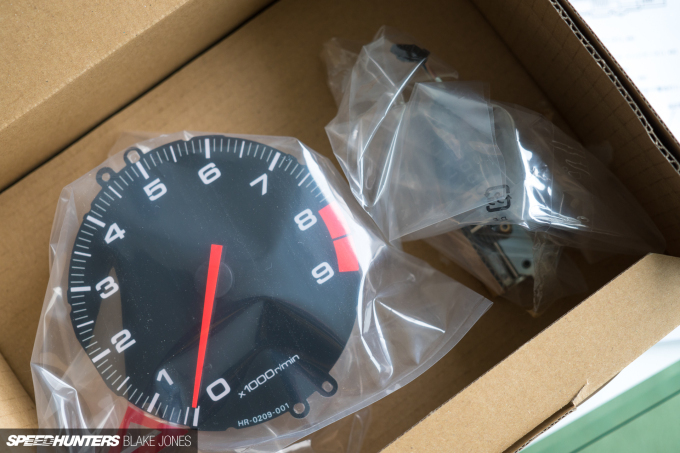 In fourth gear the speedometer needle moved steadily towards the final mark, and I was nervously eyeing the rear-view mirror to ensure I wouldn’t have a rear-end remodelling from a close following Porsche once the limiter cut in. But lo-and-behold, the needle continued onwards into the blank space and back towards zero. Maybe the previous owner enjoyed a high-speed blast along the Tokyo Bay Aqua-line? Unfortunately I paid the price for sub-optimal preparation; the front brakes developed a massive shudder almost immediately, and in the second session the check engine light turned on down the main straight. Thankfully neither of these issues are serious, but new rotors and pads will be required at the front, and the O2 sensors will require replacing before I go near a circuit again. The highlight was absolutely getting a feel for the new KW Clubsports. It’s the first time I’ve run adjustable suspension on one of my cars and the ability to go from cruise to attack mode in about three minutes is a real game changer. Despite the Clubsport being KW’s track-spec coilover, I’ve not once found them uncomfortable on the (admittedly high quality) roads in Japan. 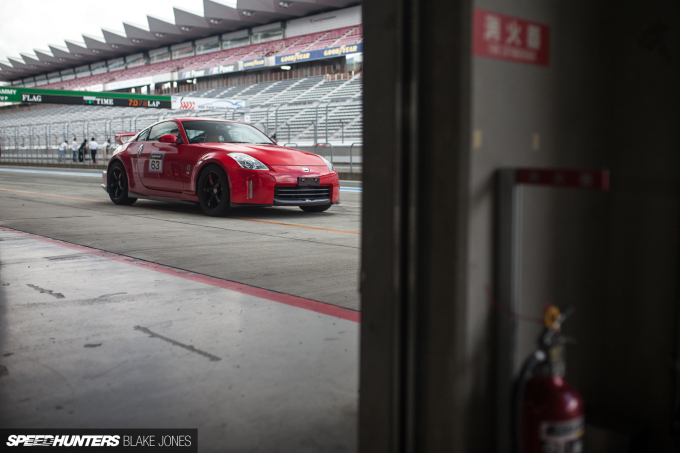 Around Fuji’s sweeping corners the car was completely settled, and could be easily steered with the throttle mid-corner. This is one of my favourite characteristics in a RWD car and not all mid-engined cars can deliver a friendly balance in this regard, so it looks like the combination of KW’s suspension and the Advance setup has the chassis in a good place. 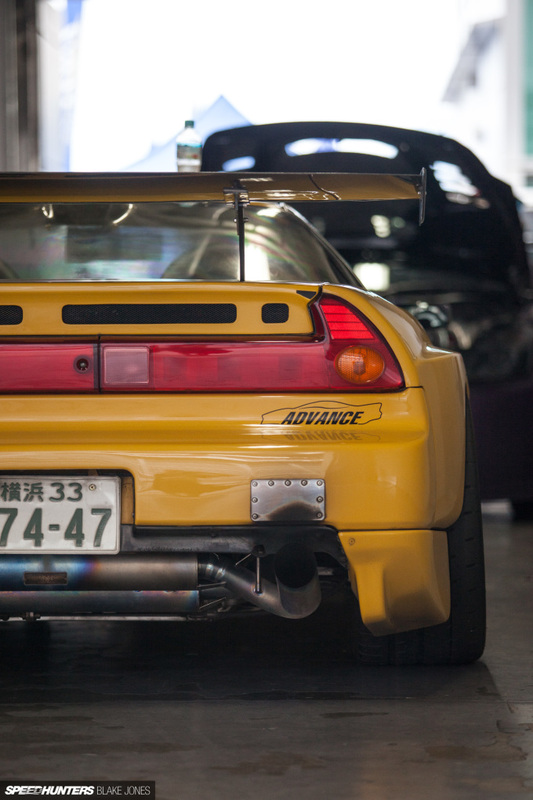 The only slight downside is that the NSX units have the compression adjustment on the bottom of the coilover, which means adjusting that is a little more involved (either removing a wheel or having the car lifted on a jack or lift). Considering the unresolved brake and O2 sensor issues, the best time Project NSX managed was a 2:15.1. Certainly not a blinding lap, but decent enough to be a useful benchmark for the next visit to Fuji Speedway with Advance in September. And at least the car is still in one piece, right? So, as is often the case, there’s more to be done than when I started this part of the build. Slowly but surely the project is coming together, and to think of how different it was when I picked it from the auction lot 12 months ago means I sleep sound at night. But the pile of parts in my living room continues to grow and there’s plenty of work to be done to chase down that 996 GT3. Super detailed! It's gotta feel great to finally track the thing. For the record I think the exhaust looks/sounds fantastic. That last pic is BEAUTIFUL. Great work dude. I always look forward to your articles. 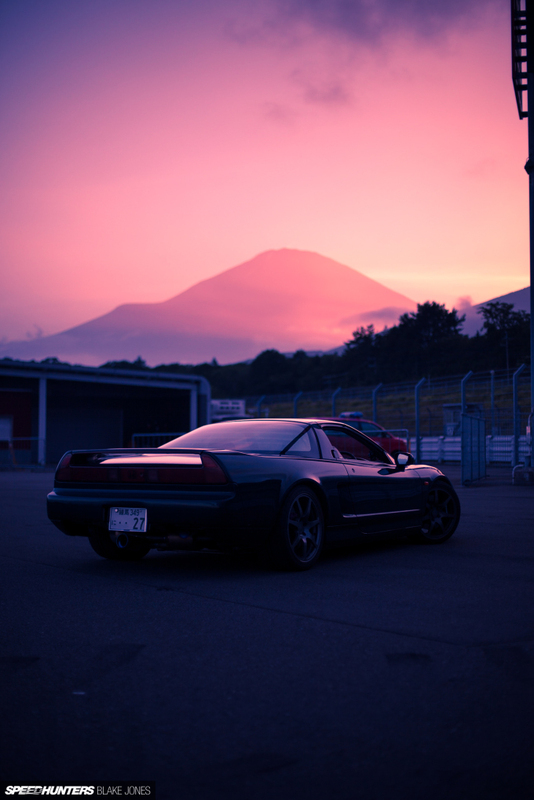 I love the route you chose to go with the NSX (it's the way I would have gone too), I love your photo work and the detail you include. Can't wait to see the next installment. Thanks for the kind words Brennan, glad you're enjoying! Why do you not list the weight difference from auto to manual transmission in your comparison? I imagine that would be a noticeable number? Good question - it was a big saving (>30kg) but the curb weight I'm using is based on a manual car, so it would be unfair to subtract the change from that lower figure. Love these Project update articles!! Awesome read, awesome pictures! Keep it coming. The only benchmark you really need is smiles per gallon. 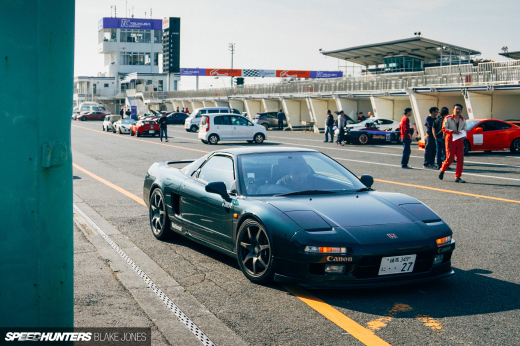 Anyway, the NSX is going along nicely but I just hope you don't do the unforgivable crime of ditching the pop ups in favor of some fixed light-weight, low-profile alternative. Don't do it! 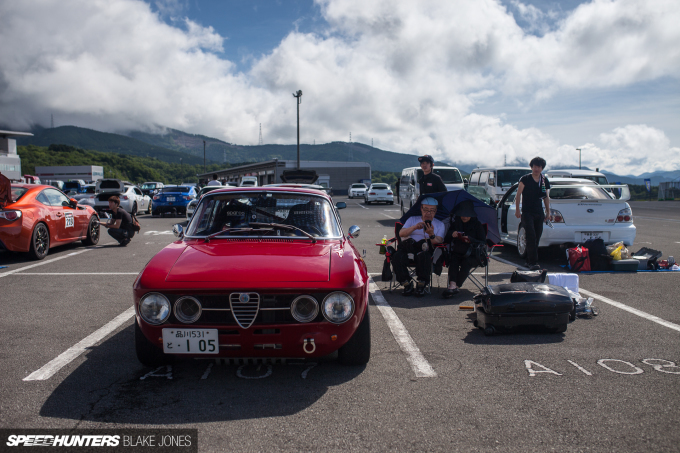 Yeah, I just wonder who will be the first Speedhunter to jump in the deep end with a bike! Don't worry, pop-ups are going nowhere. Man, I still think dual or even quad exhaust tips would look better on this car, but hey it's your car. 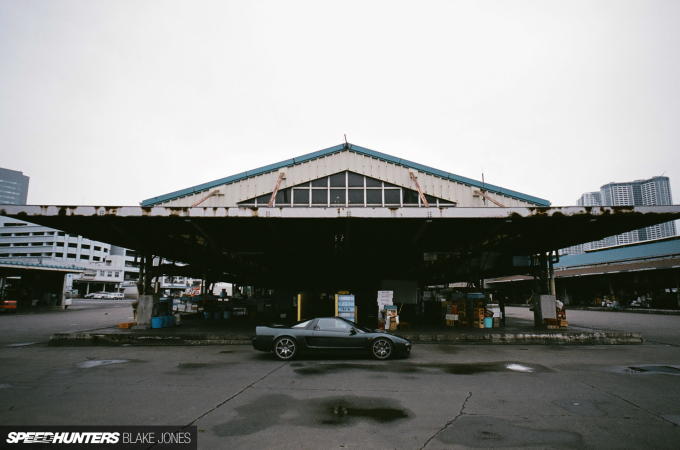 Did you shed any more weight in the interior other than just the steering wheel? 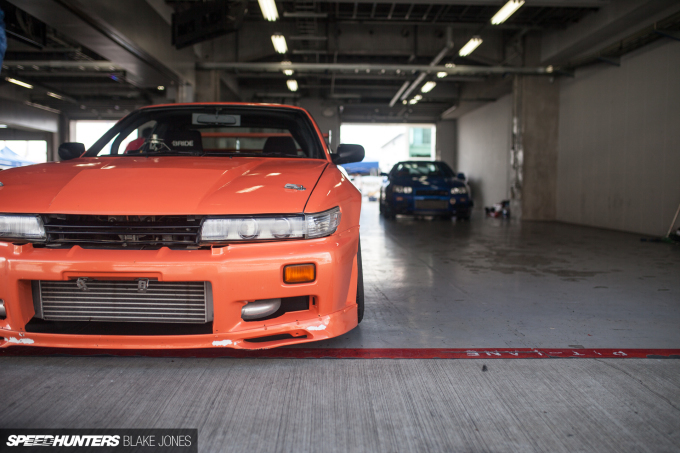 You say "25-year-old car" like it's a bad thing. Remember, that was Japan's Moonshot Era. Everything was overengineered and overbuilt. I'd rather have a car from that time, especially for a project. Don't get me wrong - the early 90's are absolutely my preferred era of Japanese cars. But road car performance has undeniably come a long way! I guess it speaks to the longevity of these designs that they can be brought up to these modern standards relatively easily. The designs were far more clean and elegant as well. None of this Four Wheeled Literbike nonsense we have today. Love these build posts. That last pic reminded me of the racing games on my PlayStation 2. Even with a limited palette and pixelated the images were amazing. Haha, I had a similar edit on my phone! Is there a diffuser available for your car that works with the center exit exhaust? Car looks great man! I've been looking, but nothing has turned up for a centre exhaust yet. Perhaps something can be adapted from a Lotus or similar. A great project. Looking forward to updates. 2:41 pmJuly 19, 2018 DahRidlah . just talked today with friend about lighten the car, but keeping it daily. He just ordered LITE BLOX battery for his Focus RS mk1. 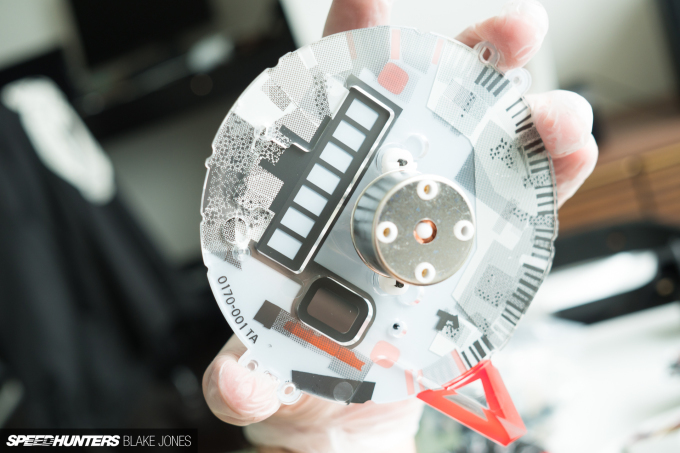 A lightweight battery is absolutely on the list, the current one has its own gravitational field. 10:59 amJuly 20, 2018 DahRidlah . I really enjoy the details you go into with your project. One thing that I was curious about is how the area's you are reducing the weight will effect the weight balance of the car. So if some of the bigger weight reductions are to lower areas of the car will it noticeably raise the centre of gravity or shift the weight bias further forward or rearward. Thanks Nikayla! 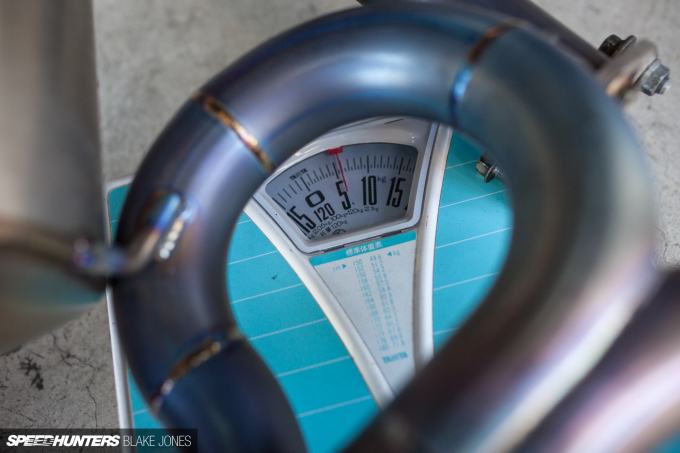 Really good points regarding the location of weight reduction. It’s something I’ve been trying to keep a ‘mental tally’ on to ensure I’m not horribly unbalancing the car. 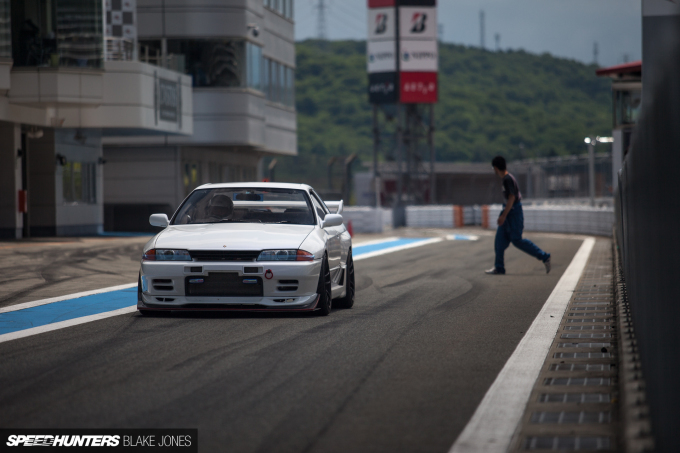 Taking regular corner weights would be a good habit to keep tabs on front/rear and left/right balance. Revolutionary article: i felt a bit of tourism in the pictures... maybe its the sights along the road to the track or just the photography. Love the detail part on the cluster - stuff like this is maddenly useful for passionate owners and if all articles drowned their subjects with this “peppering” of maintinance, car model facts/“what’s underneath?” Stuff, and travel, I’m pretty sure this website will win a peace prize and the world will be a happier place. 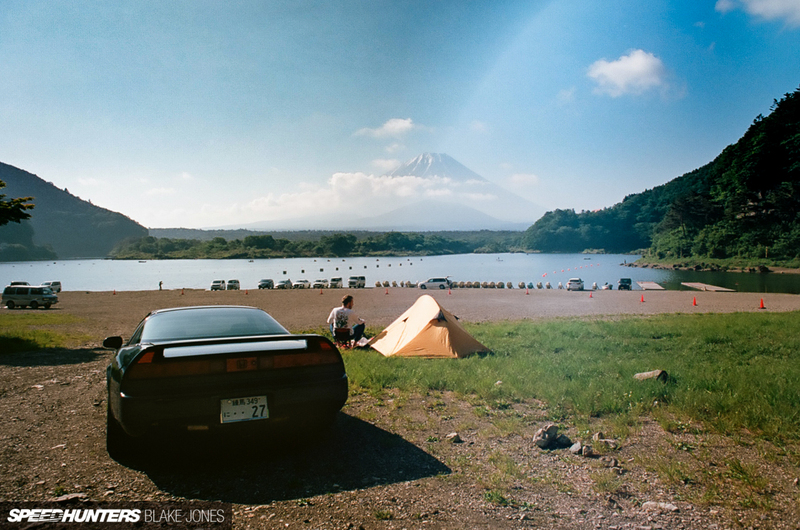 I want to go to those islands now... with my car. Where do I pick up my Nobel prize? Picture #51, love how those guys in the next pit are looking at Project NSX. LOL! Whenever I read about nearly stock cars going onto tracks and then they start lighting up the check engine lights, it really worries me about bringing my car to track as well. Lol. I wanted to die when I saw it come on. Thankfully the Advance guys were really reassuring - it's apparently really common for original O2 sensors to cause problems at the track on these cars. 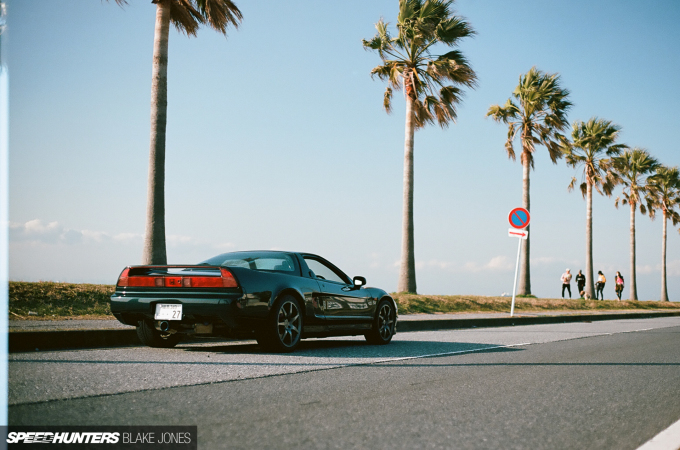 Great article, I get excited when there's an update to Project NSX! Hey Blake, Just been listening to Matt Farah interviewing Steve Dinan on The Smoking Tyre podcast. You should listen to it. 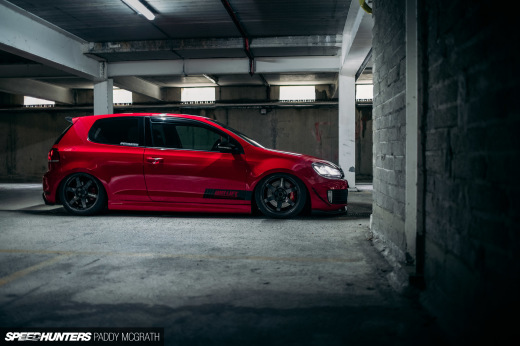 Steve is a massive NA fan and has hundreds of suggestions for increasing power without forced induction. Lots of ideas for losing weight too. He's a very interesting man. 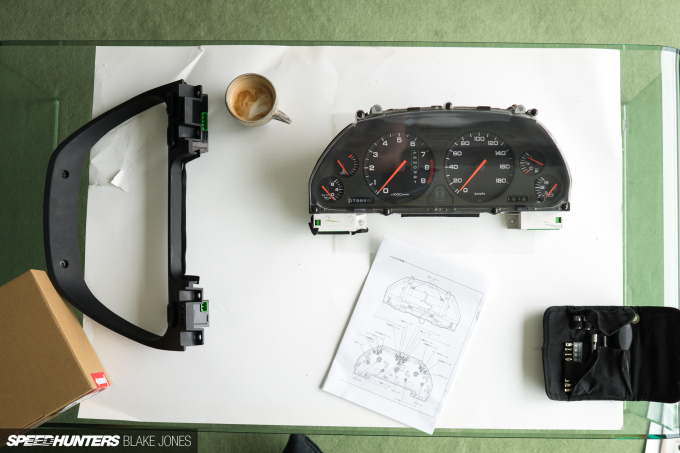 Love reading project car updates and your photos are excellent. That's going straight to the top of the 'want to listen' list. Thanks Luke! Great write up, it gave me some much needed motivation to empty my bank account on my ae86 over winter. That final photo of the purple sunset is fantastic aswell!! Thanks Eddy. May your financial ruin be offset by the sweet doort of a 4AGE with trumpets. Wow these is a wicked update. I don't think I've ever planned a vehicle end goal to throughly. One of the best articles out there! Keep it going Blake Jones!!! 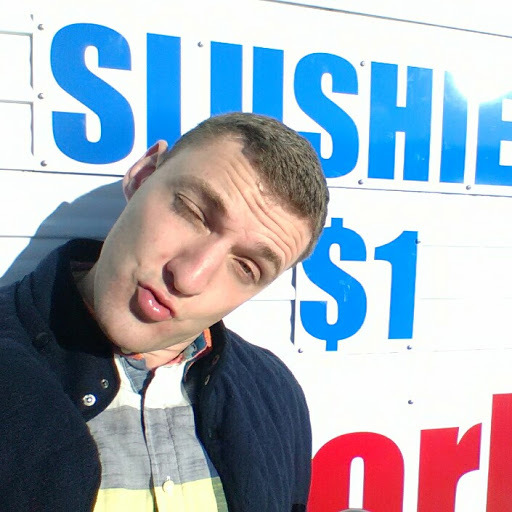 Awesome update Blake, and I'm jelly that you got to use Fuji for some fun! 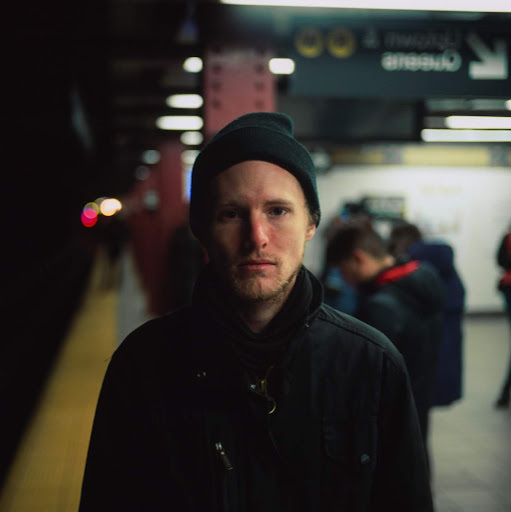 I like your plan and approach to your car, keep it up and I look forward to seeing where things go and your updates. Thanks mate! I'll try to keep the updates coming. 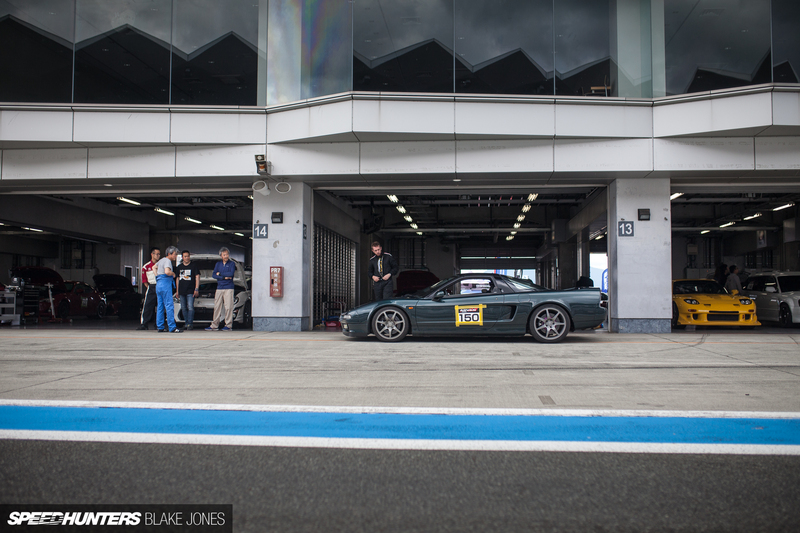 Great read, thanks - some mechanical tuning, some interior perfectionism, a trackday and a load of awesome photos! 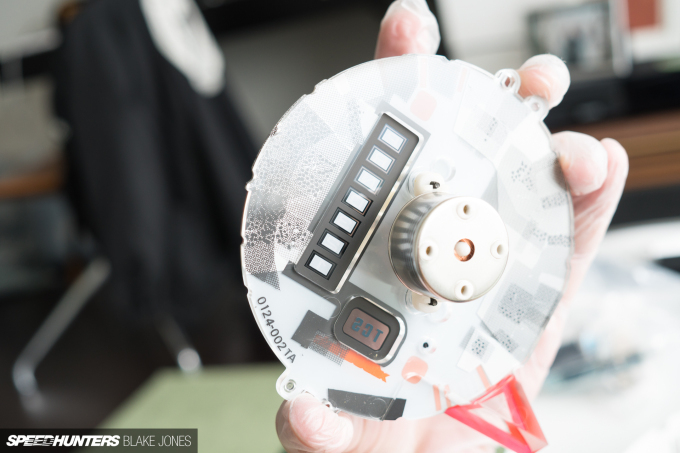 I love seeing these projects develop over time, rather than just being forgotten. I like the approach of setting a meaningful target with the GT3. According to Evo mag, Porsche later admitted that the 996.1 didn't quite make 360hp, so you can maybe give yourself 5-10hp breathing room on that target. The changes you've made so far look great. I think some lightweight seats would get you most of the way to your weight target. I remember at TAS, there was a stand with a load of seats so you could go and sit on them and try and find one that's comfortable for you. Is there any mileage in a C32B swap from a newer NSX? I know they were rated at 276hp but I have a feeling they put out a bit more (although perhaps not as much as the NA2 press car did?). Honestly I think it'll be hard to truly get on a par with the Porsche, staying true to the car, without spending a lot of money. But does it matter? 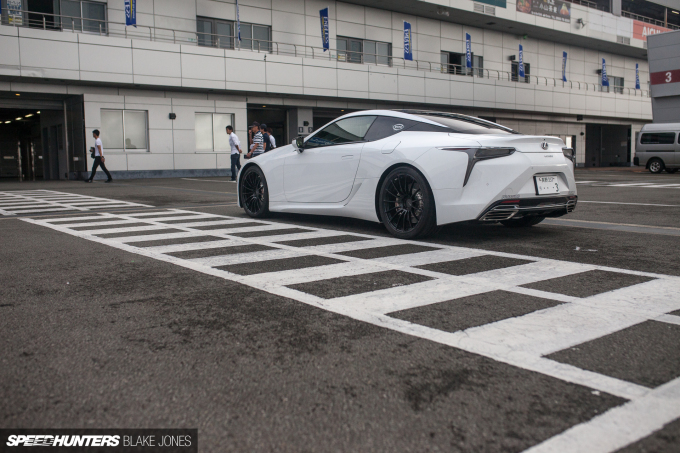 I think Japanese roads don't really put such a premium on horsepower; if you can make 300 hp and 1300 kgs I doubt you'll feel short-changed. Ahh, good intel on the 996.1 output Tom! Although, I'm guessing the NSX will be a few hp down on its factory numbers when it gets on to a dyno too. I'm working on the seating situation now, so stay tuned for that! The C32 engines are expensive, and most of the performance gap can be made up by a C30 with headers and a tune (although obviously the C32 would benefit from those modifications too). But you're right - the car already feels fast enough on 90% of the roads here... well, until I find myself behind a 997 GT3 like I did last weekend! How much do your current wheels weigh compared to the originals? I'd also be curious to see if you could save weight of the seats. I'd assume you wouldn't be looking at full racing buckets. I can't think of many other points you can save significant weight without comprising the usability of the car. Definitely some weight to be saved in the seats, although they have aluminium frames so are lighter than the average factory power seat. I'll be sure to weigh wheels and tyres before the next update. Man after my own heart with an ethos like that behind your build Blake. Looking forward to more updates as you sharpen the car up without losing its character. Just awesome. Great work! 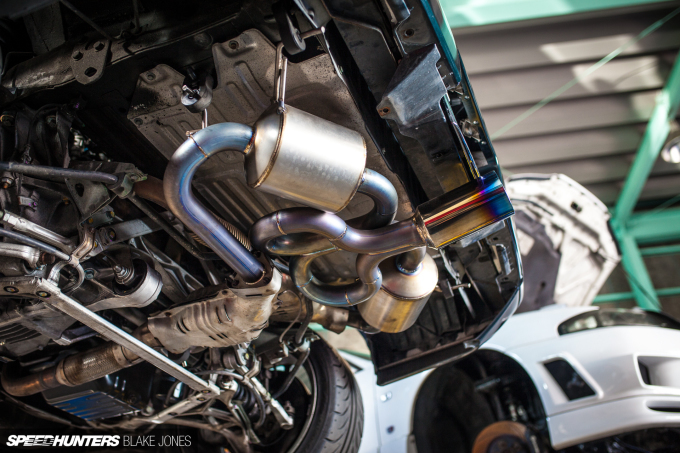 I think i have saw your car around Takadanobaba last week, with that muffler! That would be me! I live around there. Cool! I’m also living around there. I have just started my car life in Japan few weeks ago, if you don’t mind is there any car shops around you recommend. Cheers for the kind words John. Green slime tire kit and pc680 battery and you are there - the exhaust tip itself is the ugly part not the center exit. Exhaust manifold and aem infinity and you'll be able to match a gt3 in real world acceleration. Loving the mindset we somewhat share! 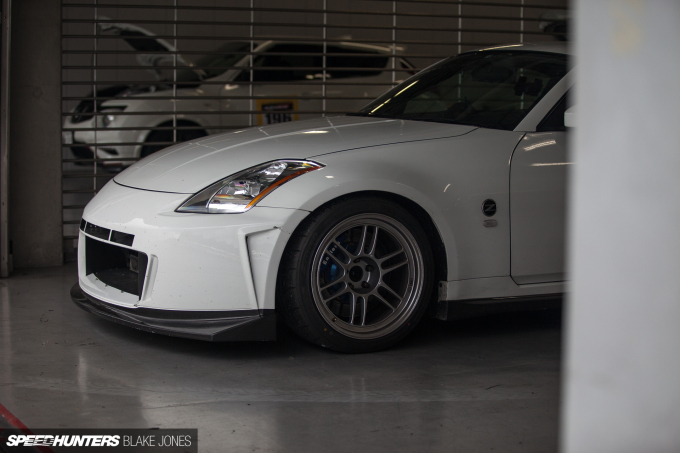 I have a Z33 similar to that red one photographed, except mine isn't a Nismo-spec. I'm building mine with the same approach. Keep it all coming. I'm sure you're inspiring many others. Can't wait to see it when it lands here in Australia too! 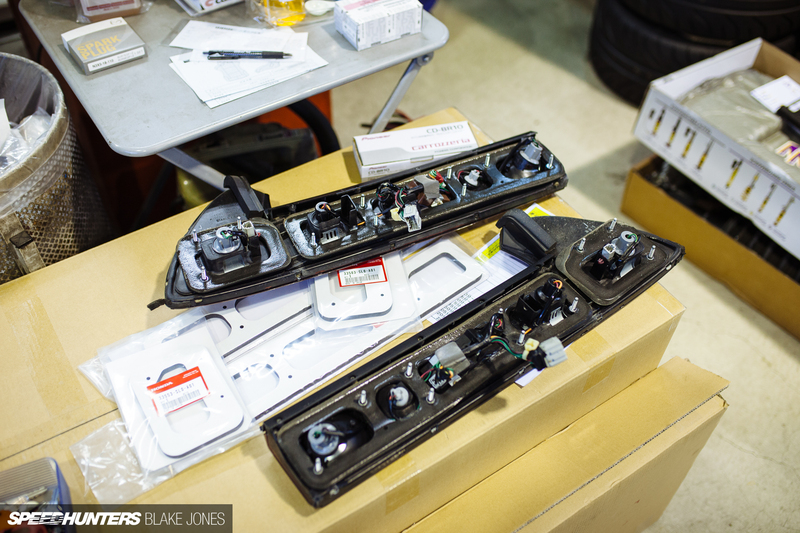 Thanks Alister, let's tee up a OEM+ JDM drive back in Australia!